I went to a furniture trade show in NYC earlier this year, and it was one of the most inspiring shows I've ever seen. I made a lot of sketches afterwords; the designs and shapes I saw were incredible and it made a lot of sense to record some of them. One thing that was a regular trend throughout much of the design was a sort of homage to organic. Not organic as in leaves and trees and things like that, but organic on a microscopic level. There was something really comforting about the duller colors and the rounded, "blobby" shapes. 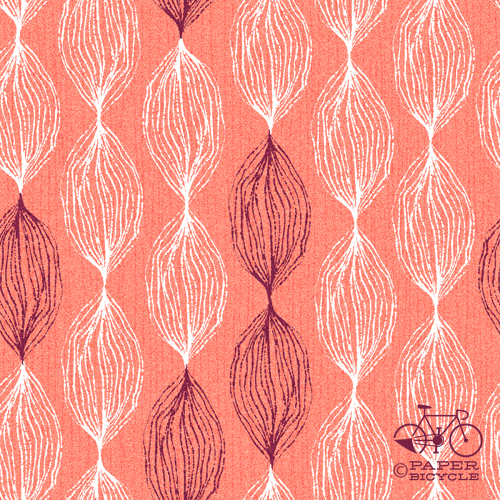 I thought of a few ideas for the "muscle" topic, but I've been wanting to do some straight-up pattern design for Daily Pattern for awhile now, so here's some of that, inspired by muscles. Oooh, I like it! You should get it printed on heavyweight fabric and reupholster furniture and make pillows out of it! I tried to comment on this before but it didn't work - I really like this, and it's a clever twist on the topic for a beautifully designed pattern! The best muscle producing weight lifting exercises are squats, bench press, pull ups, dips, deadlifts, clean and press, rows, military press, calf raises, crunches, and bicep curls.